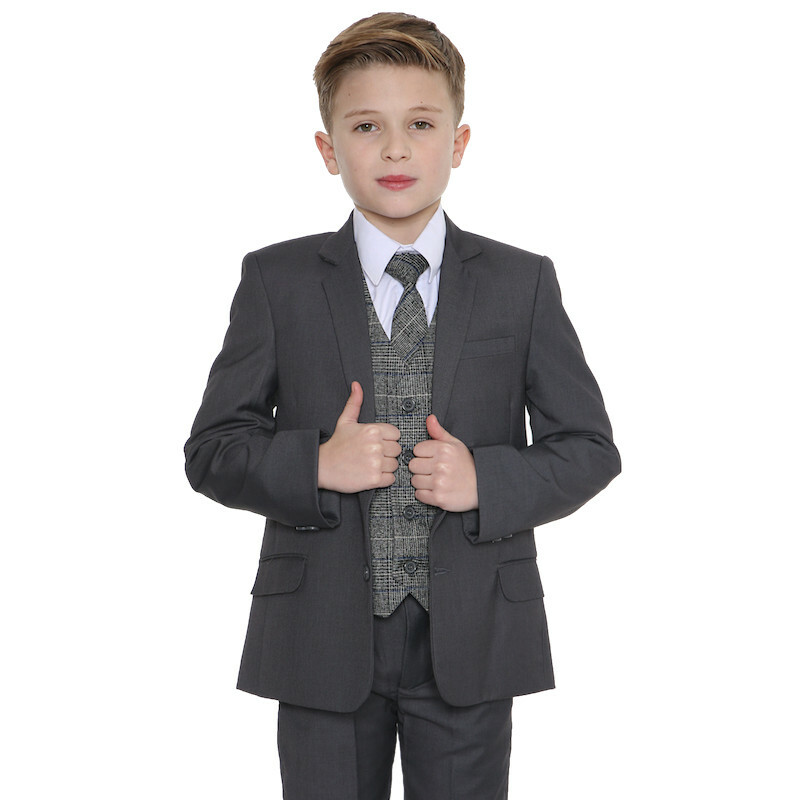 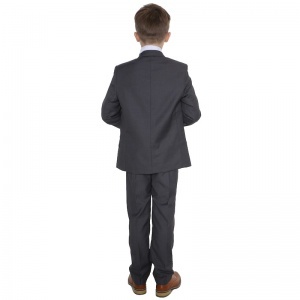 Grey & tartan tweed blue check 5 piece slim fit jacket suit for baby boys, toddler or older boy, suitable for all special occasions. 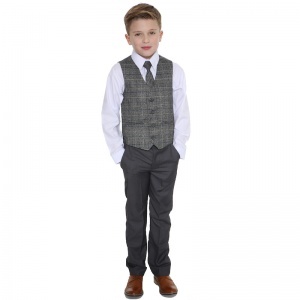 Waistcoat: Grey tweed effect waistcoat in a tartan pattern with a blue check. Fully lined with double pockets, 4 grey buttons and an adjustable strap/buckle on the back for a perfect fit. 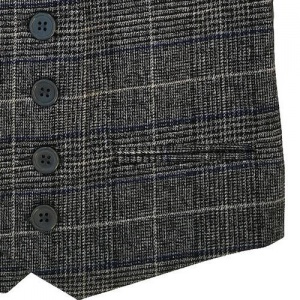 Tie: Co-ordinating with the waistcoat is a matching grey tweed effect tie in a tartan pattern with a blue check. 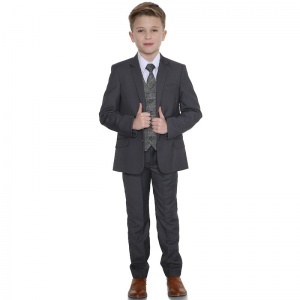 This grey & tartan tweed blue check 5 piece slim fit outfit will make him look like the perfect handsome gentleman at a christening, wedding or special occasion.